It’s always good to have a backfill story. A tale when you have something we know has to have happened at some point; but we have never seen or heard it. In this case; it’s the Doctors first meeting with the Sontarans! And what a first meeting. They put Steven in the driver’s seat in a way; having him being more knowledgeable about the Sontarans than the Doctor. This is a really nice tool and frees up the 1st Doctor for developing a strategy to use against the Sontarans that he can use in the future and indeed this weaves perfectly into the Doctors timeline with the Sontarans. You can see him picking up ideas here that the 3rd Doctor might use when we see him meeting the Sontarans in the Time Warrior. Peter Purves as always does a great (and unenviable) job of playing Steven, the Doctor and the Narrator. It’s always interesting to hear the different intonations from the Doctor that Peter Purves picks up on compared to William Russell. Both do a great job but as always with impressions it’s what about that voice you use in your version. Speaking of voices, we are also treated to Mr Sontar himself Dan Starkey (Strax on the telly) back as the race of people he is now iconic for playing. I love that in this story he finds something different to do with the voice. No one would blame him, as Sontarans are clones, if he just did the same Strax Sontaran voice for each performance, but in this one I hear more malice and a more sincere evil to the voice he uses. It helps me think of the old rougher looking Sontarans from the original Doctor Who. I love the new series Sontarans, but they maybe loose sometimes their menacing side with the humour used in the scripts and their new look is great; but maybe doesn’t look quite as thuggish as the originals. In this story I certainly feel its an old school Sontaran take. As commented on in the extras it’s hard to believe we are dealing with only five cast members when it feels like we have a booming cast. 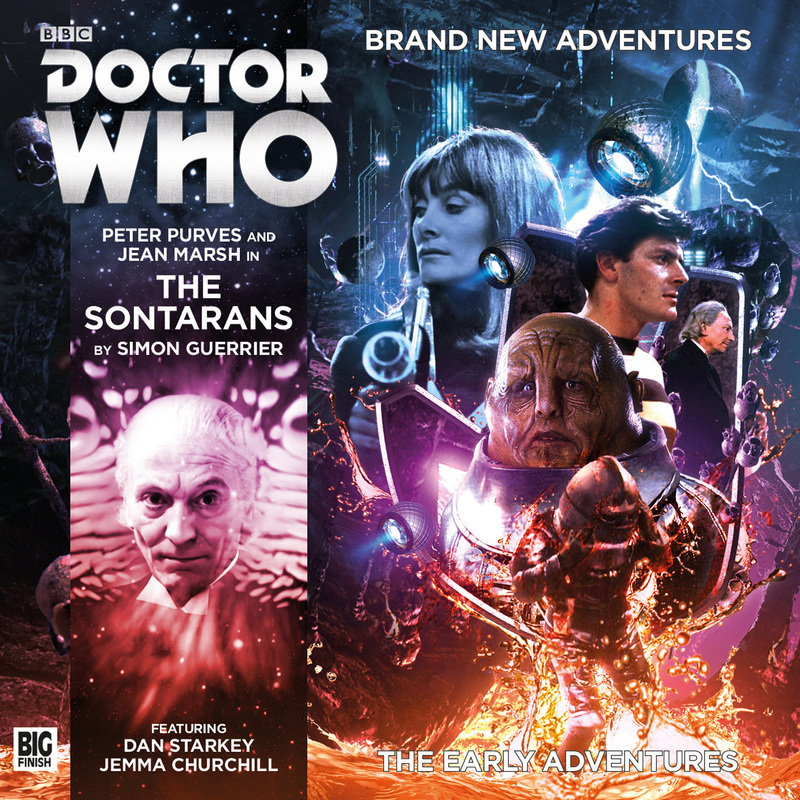 This is a very traditional Sontaran story by Simon Guerrier, which brings them perfectly into the 1st Doctors world; with great direction by Ken Bentley. I give this one 8/10 sonics!